So much for learning 4.0 – just because we can call up almost all knowledge digitally, this does not mean that we retain it or can even apply it. Digital media means that we can learn more individually, independently of our location – nevertheless, we do not wish to do without schools as geographical places and classrooms. This is where we discuss issues directly and also obtain other important skills, including social skills. And yet, from schools to further education classrooms in industry, what should these places of learning look like in the future to satisfy our needs? They need to incorporate new findings about learning, take into account increasing heterogeneity amongst students and teachers, offer the requisite technology and digitalization and meet the requirements of schools offering all-day facilities. 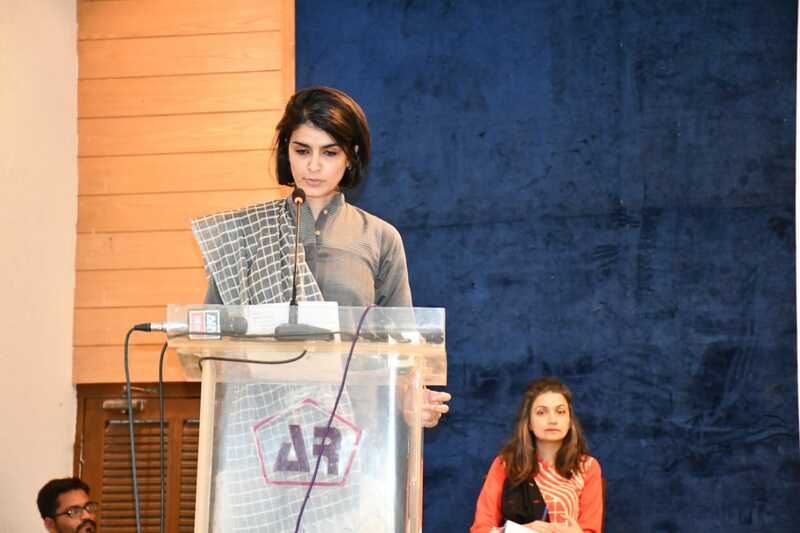 Overall it is not an exaggeration to speak of a paradigm shift in the planning and equipping of educational establishments in connection with the current development. “We are convinced that educational institutions will be built for significantly more flexible use in the near future than we consider possible today. Demographic shift and digitalisation demand new architectural concepts and systems, which can be used today and will be state-of-the-art in future. Hohenloher already offers a range of products for these modern flexible concepts and is intensively driving forward the development of more new products,“ states Dirk Jägers, CEO of Hohenloher Spezialmöbelwerk Schaffitzel GmbH & Co. KG, one of the leading equipment companies for educational institutions. By way of example: The furniture needs to support competence-oriented and self-organised learning – individually adapted to the respective educational concepts. 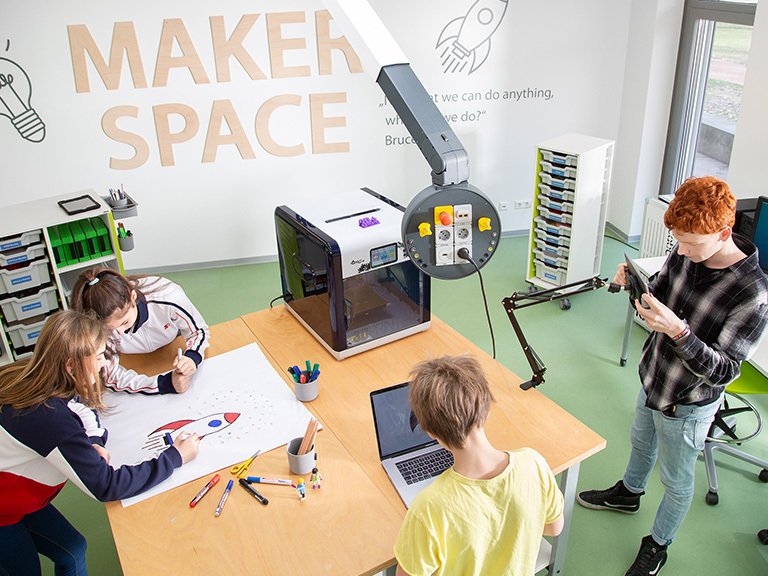 All future-orientated learning situations will be based on the philosophy of maximum possible flexibility in terms of the use of the space – equipped with modular furniture concepts and flexible media supply. The focus should always be on practice-based learning. Room concepts in which theoretical content can be communicated or worked on in one moment and practical work or experiments taking place in the next is essential for school-based education as well as for trade and industry. 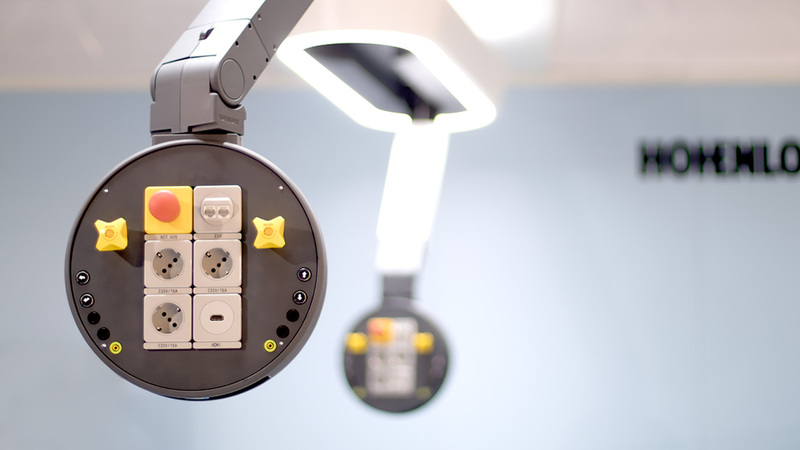 Hohenloher has therefore developed flexible complete systems with integrated media supply for scientific rooms and laboratories, relying on its outstanding expertise in the development of flexible media supply from the ceiling. A series of sophisticated technical solutions are available depending on the use of the space. What is more, the Development department also regards the idea of modular furniture concepts for general learning spaces and classrooms as equipment solutions for ancillary areas and functional rooms. This also applies to school-based and, above all, vocational training in industry.